Awesome Pizza! Probably the best pizza in Colorado. Look for the blue building at 115 W. 4th Street, just off Harrison Avenue. They only have a couple tables inside but there is plenty of pet friendly outdoor seating. Their menu has lots of organic & local ingredients. Pizza, Burgers, Sandwiches, and much more. Their Brussels sprouts are famous. Located on south Harrison Avenue. This old diner, in business since 1938, is located in Downtown Leadville on Harrison Avenue next to the historic Delaware Hotel. Open for Breakfast & Lunch. We recommend eating breakfast here. Sit at the counter for quicker service if you are in a hurry. Quincy's is best known for having only one item on the menu. Several sizes of Filet Mignon are served Sunday thru Thursday. On Friday & Saturday, Prime Rib or Sirloin is available. That's it! No other entrees are available. Serving New Mexican food for 50 Years. Located a block off Hwy 24 at 715 Elm. At 10,000 feet, it only takes a drink or two to relax. Here are some of our favorite places to have a drink. At an elevation of 10,156 feet, PB is the world's highest craft brewery. Order a flight of beer to sample the flavors, then get a crowler or growler to go. Our favorites include the Hope Pass IPA & Tourmaline. Located on 7th Street just east of Harrison Ave.
Have you ever been to a secret absinthe lounge in the back of a coffee shop? 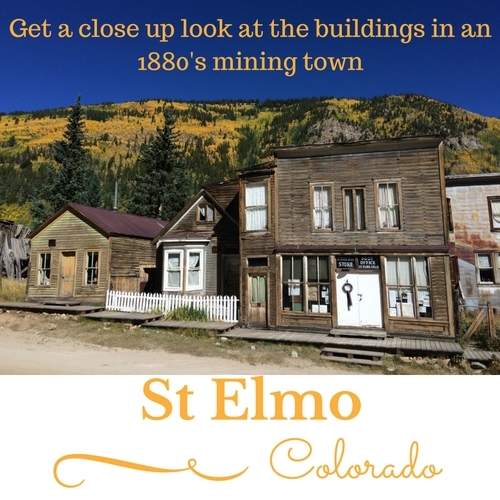 Check it off your bucket list while visiting Leadville. Stop by La Resistance on Harrison Avenue. This historic saloon on Harrison Avenue opened in 1879 across the street from the Tabor Opera House and was frequently visited by Doc Holliday and Oscar Wilde. A trap door behind the bar is a secret escape to the back alley. Have a drink with the locals. Built in 1878, Pastime is the last remaining of 64 saloons that once stood in the red light district on State Street (Now 2nd Street). Doc Holliday & Jesse James are rumored to have been frequent customers. Voted Best Burgers in town.